Do you have testing coming up? 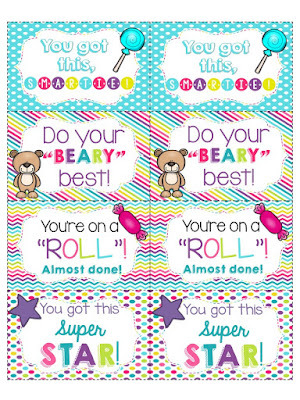 Here are some fun labels that you can attach to a bag of candy and hand out to you students. Check out the post to see which candy can be used with each different label.